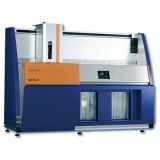 The viscosity of Newtonian liquids is most accurately determined by using capillary viscometers. In this measuring method the time that a defined amount of liquid takes to flow through a capillary whose length and diameter are known is measured. With the industrial manufacture of such precisely calibrated capillary viscometers we have created the conditions that have enabled this measuring method to become established throughout the world as a reliable method. As a result of the numerous different samples and applications we can provide a very wide range of different capillary viscometers. 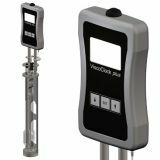 In order to integrate these viscometers in the measuring system we offer a wide range of accessories such as AVS® measuring stands or mountings. 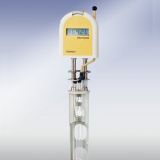 The measuring stands are used for automatically recording the flow-though time in viscometers. 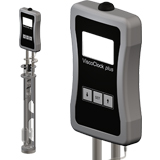 They work with all standard viscometers for repeated measurements and can be connected to all our measuring systems.